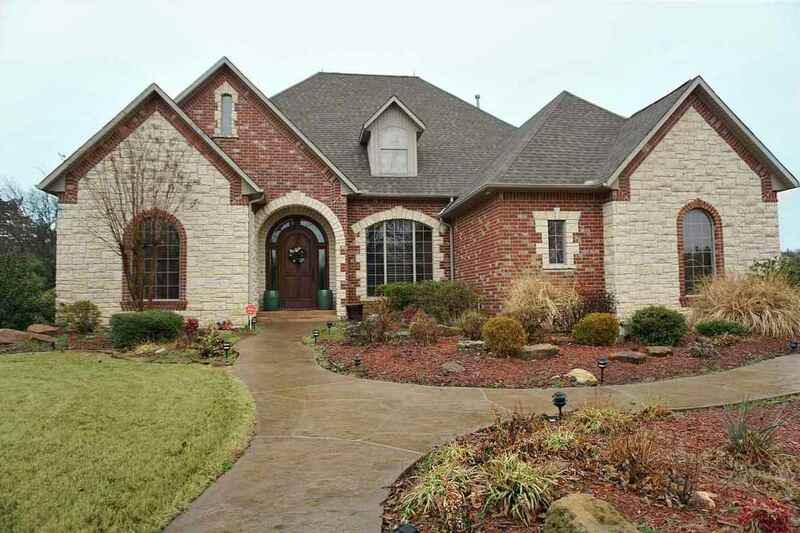 You will fall in love with this beautiful home in this highly sought-after gated neighborhood! From the superb quality of the materials to the high-end decorative finishes, this place reflects TRUE EXECUTIVE LIVING. Its 4, 583 square feet of living space is both aesthetic and practical. It has five bedrooms and five combination (from full to 1/2) bathrooms. This home has all the usual top-tier items plus some. Fabulous woodwork abounds in this home. You&apos;ll also enjoy the large covered patio with an outdoor kitchen and a separate lanai. To top it off it, it comes with a gorgeous heated custom pool with four waterfalls and a hot spa/tub. This one has great curb appeal with its alluring landscaping and semi-circle drive with lots of parking space. You must see this showstopper to truly appreciate it!